This is the first parable in the Masnavi of Rumi. I have retold it in a special style. I dedicate it to Pakistan, which is Heart and we are Soul. Heart was a king who ruled over matter and spirit. One day, it went out hunting and got separated from its companions. That is when it fell in love with Soul, who first appeared as a maid working in a peasant’s home. Heart bought Soul and brought it to the palace, where Soul fell ill.
Physicians were called. Well-versed in science and philosophy, they promised to heal the patient even if God willed otherwise. They failed. When Heart feared that Soul would die, it turned to God and prayed for Divine help. Presently it fell asleep at an unusual hour and in a dream it saw a mentor. The mentor arrived for real the next day. Avoiding the mistake of judging its guide by its own standards, Heart submitted completely. The mentor met Soul in private and promised to be like a caring fathe. Then he unlocked the secrets of Soul and learnt that it was in love with a goldsmith who owned it once but had sold it away since then. Burning silently in love of its former master, Soul had fallen ill. Physicians had declared it incurable because they did not know the cause and only observed symptoms. The mentor started to set things right. He advised Heart to summon the goldsmith from his far-off city. On instructions from the mentor, Heart commissioned the goldsmith to prepare jewelry and even handed over Soul to him. Reunited with the goldsmith, Soul recovered soon. Saying this, the goldsmith died. In the meanwhile, the other potion had been given to Heart, which had become stronger and more attractive by its effect. Soul was now able to recognize its true partner and fell in love with it. Thus they became united in health and happiness. Nice tale i must say.. you have described it symbolically yet so very beautifully. 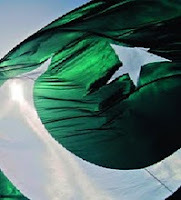 we all Pakistanis should realize that we being soul cannot survive happily away from our heart that is our homeland! Pakistan is our true love and we should stop running after fake masters. Awesome and interesting to read. I always like you work Sir. Keep it up. Splendid… soul is a living thing per se and life only exists with life and not with lifeless, hence the perfect mate for soul was a heart and so they were united for elation and progression. have no words to describe how it feels when you read all this post with the heart of a Pakistani..! "Jashan-e-Azadi Mubarak" and most belated Happy Independence Month to all. This kind of story really works for me and not only works yet haunts with truth and beauty.